A Simple + Natural Life: Oh, How Pinteresting - Take 5! 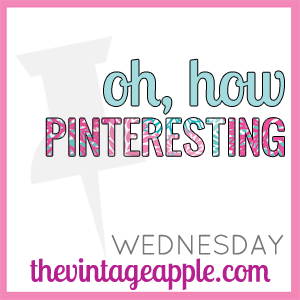 It's about that time of the week with another Pinterest linkup with The Vintage Apple! Whoop! I love Pinterest, but since I have so much homework to do right now, I'm trying my best to stay on it for less than 30 minutes then get back...We all know how fast time flies when we're browsing all the fun things to create and do on Pinterest! Below are some of my late Pinterest loves! i need a beach vacation right now please!! That rainbow cake would be perfect for a birthday in the summer! I want a piece right now!